Weight less seat (approx.) 40 lbs. Hull type: Vee-bottom hull for 4mm sheet plywood Stitch and Glue construction. 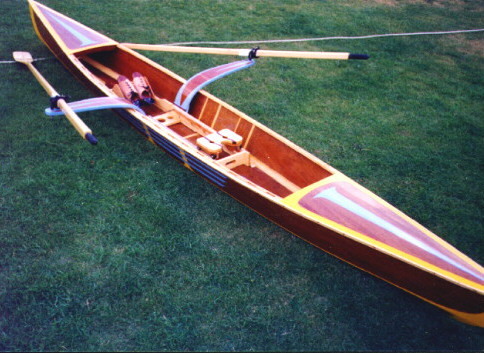 Power: High performance spoon-shaped sculling oars, with riggers and sliding seat. Can the hull be extended or shortened? No.